Discussion in 'Friends and Family' started by Any Del, Apr 12, 2018. So, this is my very first thread I've created. Just like the title says, ask me anything and I'll answer you to the best of my knowledge! What are your thoughts on Steven Universe and Homestar Runner (or Strong Bad Email) if you've seen any of those two series? I've seen both of them and its adequate. I wouldn't say the best shows ever( since I'm mostly a fan of old cartoons from back in the days until the mid to late 2000s), but they're alright. 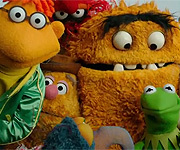 What are your thoughts about kitty cats being friends with Fraggles? Thoughts on the NEW Elmo’s World? I've played SO many different game consoles! For the past my favorite are the Ps2 and PSP! For present its Ps3 and Ps4! I love SONY that's why. LittleJerry92 and BlakeConor14 like this. 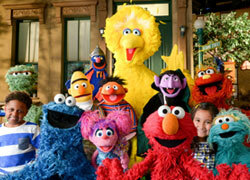 Sesame Street skit/episode you would like to see surface one day? Thanksgiving, Christmas, New Years and Fourth of July. Um... The second part of Ernie's Barbershop in English. Its where Grover mistakes Bert as his father after Ernie shaves Bert bald. Sadly its only in German. Ooh, yes! I'd love to see that full skit. Unfortunately, I think we're lucky to have even gotten the first part.